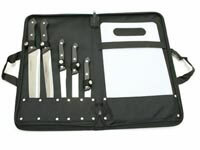 Winchester 6pc Kitchen Cutlery and Camping Knives with Case. Sets. Things I liked: Nice knife set. Build quality looks good. Things I would have changed: All smooth edge blades. 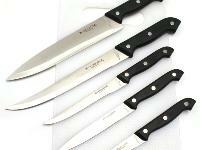 No serrated blades. What others should know: I bought this because at the time it was advertised here as 'Made in America'. The one side of the blade is stamped Winchester - USA. On the other side of the blade is stamped Made in China. P.A. has since pulled the made in USA from their web-site after I notified them. I would not have purchased had it not have been advertised as made in USA. Thanks for the heads up. 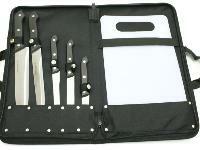 I was going to buy a set until you mentioned "made in China" on them. 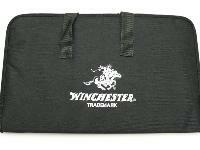 Things I liked: The travel kit and it being Winchester.